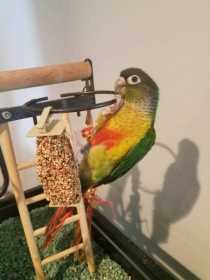 My little mango colored and so named bird escaped when startled out of a door opened by the dogs . Wasn’t missed for 15-30 mins . Very cold night . Not very hopeful . Feel very guilty poor baby didn’t go far from the other bird we have .